Following on from the previous post assessing the contenders for the women’s singles, we now look at the men’s competition and the form of the leading players over the first two rounds. What can we possibly say – Nadal is the overwhelming favourite for the title in a competition he has dominated since 2005. Last year’s surprise defeat to Robin Soderling showed the first sign of Rafa actually being human on a clay court, but he had been struggling with injuries going in to the tournament. Nadal is the overwhelming favourite to win his 5th title in 6 years. A fully-fit Nadal will always dominate the French Open and as long as he stays injury free this year, he should win again. However, Nadal being fully-fit is not a given and he has struggled with injuries lately. His knees are, at the tender age of 23, already creaking and the sheer amount of running he does during a match only adds to this weakness in an otherwise impenetrable armour. The draw suggests he will have to beat two out of Verdasco, Ferrer and Djokovic, which should be some of the most exciting games of the tournament. But if Nadal is playing at 80% or above, nobody can touch him. French sports journal L’Equipe recently named Nadal as the best clay courter of all time, with Federer at number 7. Interestingly, since 2004 Nadal is the only man to beat the Swiss star at the French Open. Federer’s title of ‘greatest of all time’ would be indisputable were it not for the man from Mallorca. Should anything happen to Rafa along the way, Federer will become the clear favourite and the odds suggest a final between the top two players in the world is far and away the most likely outcome. Federer often appears to adjust his game to the level of his opponent, meaning he looks disinterested in the early rounds before coming to life in the second week. The draw points to tricky encounters with Gael Monfils in the last 16 and Soderling in the quarters, but there is no doubt Federer is in the easier half of the draw. The popular Serb is not a natural clay court player, but is far from uncomfortable on the surface. He is a steady performer at the French but has never looked likely to break the dominance of the top 2. A semi-final match-up with Nadal looks to be the most realistic outcome this year, although a last 16 tie with Juan Carlos Ferrero could be a long battle and a potential quarter-final with David Ferrer could go either way. Having stunned the world with his win over Nadal last year, Soderling proved it was no fluke by going all the way to the final. He followed it up with a good season and worked his way up to number five in the world. If his serve is going well, the giant Swede could be a tricky opponent for anyone, despite eventually running out of steam against Federer in last year’s final. A rematch between the two is scheduled for the quarter-finals, which is likely to spell the end of Soderling’s campaign. Murray’s odds are as low as 20/1 with some bookies, which seems like a very poor deal on the face of it. Realistically, the British no.1 will be satisfied by getting to the 2nd week at Roland Garros, with the red dust not exactly his favourite surface. It all depends on the tactics the moody Scotsman employs; too defensive and he’ll be on an early flight home, a bit more attacking and he could go as far as the semis. His quarter doesn’t have too many dangerous players floating around, with Baghdatis his main obstacle to an appearance in the 2nd week. If he goes as far as the quarters, his likely opponent is Jo-Wilfred Tsonga – which is by no means an impossible task for Murray. His odds vary from 20/1 to 50/1 depending on the bookmaker, which backs up the view that on his game, Murray could go as far as the semi-finals, but equally he could lose to Chela tonight and be home tomorrow. David Ferrer (seeded 5th, odds: 33/1) and Fernando Verdasco (seeded 7th, odds: 33/1) are both exceptional clay court players who have had to live in the shadows of their illustrious compatriot Nadal. Either of these players could cause an upset along the way but both are likely to come unstuck as soon as they face Rafa. Frenchmen Jo-Wilfred Tsonga (seeded 8th, odds: 66/1) and Gael Monfils (seeded 13th, odds: 66/1) will slide their way around the Roland Garros courts, providing some great entertainment along the way. Both men are explosive at their best and are the only two players on the tour who can slide equally well on either foot, meaning they are rarely out of position or off balance. For all their respective talents, neither player has the consistency to give the crowd the home winner they crave. Surely only injury can prevent Nadal from winning a 5th title in 6 years? The overwhelming favourite will take some stopping and he looks unlikely to be stopped this year. Realistically, Federer is the only man with the tools for the job, but even he will struggle if Nadal is fit. 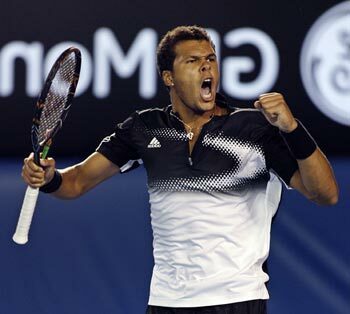 For an outside bet, Tsonga is as far out as 125/1 with some bookmakers. He has a comparatively easy run to the semis, where he could face Federer. If his power and athleticism can take him that far, things could get very interesting. 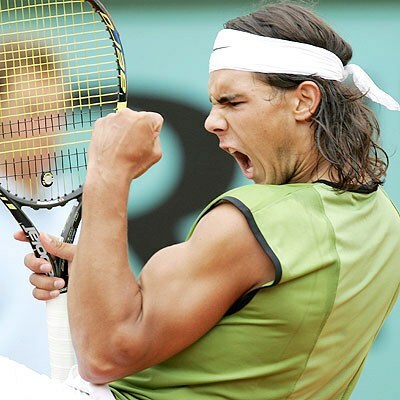 So the French Open is finally here and the promise of two weeks of enthralling clay court action has become a reality. While the men’s event looks as good as a done deal, the women’s draw looks far more unpredictable and enticing. Here, we look at some of the favourites, their form going into the tournament and their latest odds. After making a sensational comeback to the tour, Henin became everyone’s fancy for the French Open – where she reigned supreme for so long before her retirement – especially without injured rival and fellow comeback queen Kim Clijsters in the draw. Despite being seeded 22nd, the Belgian is the clear favourite of the bookmakers and the fans and relishes the Roland Garros atmosphere. Henin certainly has the game to win the tournament, with the slice backhand able to slow the play down when required and her ability to slide gracefully around the court helping her achieve perfect poise and balance. What could prove most interesting could be a final against Serena Williams, who has the mental advantage of having won the last grand slam final against Henin in Australia. Deserves to be the favourite and it will take quite an effort for anyone to beat the queen of Paris clay. Serena goes into the tournament in the unusual position of being the 2nd favourite, despite holding the world no.1 position and the no.1 seeding. However, the French Open has never been a natural home for the powerful American, with just the one tournament win in 2002. Her strength is her main asset and although her game is not ideally suited to the clay, she is simply too strong for most opponents. Despite never being a crowd favourite, you can expect Serena to bang her way through to the second week without too many problems, but with a likely quarter final against Henin could prove to be the end of her challenge. In-form Jankovic looked imperious in the first round and has a good clay court game. She has developed the consistency to match her shot-making and could be a good bet for anyone looking outside of the big two, although she has yet to make her mark in any of the grand slams, which is something she desperately needs to remedy soon. With all of Venus’ success over her career, it is easy to forget that she has never won the Australian Open or the French Open. Her form is good coming in to the tournament and with her 30th birthday less than a month away, she knows there won’t be too many more opportunities to crack this tournament. With her Madrid conqueror Avarane Rezai a potential opponent in the last 16 and Elena Dementieva likely to be waiting should she get to the quarter, Venus is going to have to beat two of the tour’s most in-form players just to get to the semis. Will take something superhuman for her Paris hoodoo to end. The young French no.2 came of age in Madrid with a sensational straight-sets victory over an in-form Venus Williams and, at 23, she finally seems to be fulfilling her tremendous potential. With a coach who is keen to emphasise the simplicity of the game, Rezai appears to be flourishing. Her talent has never been in doubt and if she can get past a potential rematch with Venus in the last 16, she’ll have an entire country’s worth of momentum behind her as she guns for her first grand slam. More than a dark horse, especially if seeds begin to fall. The reigning champion is not among the top tier of favourites this year after some indifferent form, but she knows what it takes to win the title, which gives her a huge advantage over almost every player in the draw. 3rd seed Caroline Wozniacki is the main obstacle in her quarter of the draw, but neither player is likely to better whoever emerges victorious from the Dementieva/Rezai/Venus Williams triangle in the bottom quarter. Of all the Russians hovering around the top echelons of the game, Dementieva comes into the tournament in arguably the best form of the bunch, but will do well to emerge into the semis from a tough-looking quarter of the draw. Australia’s Sam Stosur has been in impressive form this season but is far too close to Henin in the draw for comfort. Serbia’s Ana Ivanovic pretty much fell apart after winning at Roland Garros in 2008 and her career has never really recovered. She is playing some good tennis going in to the tournament after linking up with Steffi Graf’s former coach Heinz Gunthardt, but is still only 9-9 for the season. The former world no.1 is still only 22, but mental toughness is the main issue. Ironically her coach’s former pupil had the best ball toss in the women’s game – Ivanovic’s ball toss is still her biggest weakness, especially when the pressure is on her second serve. There is a lot of goodwill out there for the young serb, but without a vastly improved serve she will be heading for an early exit. World no.3 and no.3 seed Caroline Wozniacki is a bit of an outsider with the bookies at 25/1. 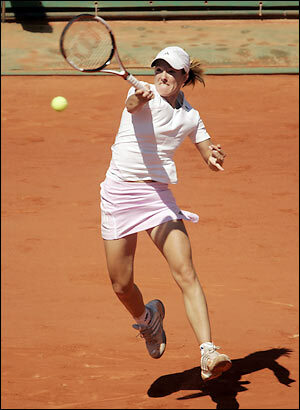 She has yet to hit form on the clay and has never been beyond the 3rd round in the French Open. At 19 and with the experience of the US Open final in her pocket, exciting things undoubtedly lie ahead for the Dane with 7 WTA titles to her name already. This year is not likely to be her year though. Maria Sharapova is still struggling for consistency after a nightmare spell with injuries. The 23 still needs the French Open title to complete her collection of all 4 grand slams, but in reality the clay court is her least favourite surface and her movement is not good enough to trouble the top players on the red dust. Henin is the sensible choice, especially with arch-rival Clijsters out injured, but as 22nd seed she will have to do it the hard way and take down a few big names along the route. She will relish the challenge though. Should she vanish early though, Jankovic is overdue a grand slam win and the heart says a victory for Aravane Rezai would be sensational for the crowd, the sponsors and the sport in general. Another of my articles for the Scotsman’s Under the Radar blog. Since we last visited west coast singer/songwriter Peter Kelly, his Beerjacket bandwagon has been steadily gaining converts on both sides of the Atlantic. After achieving critical acclaim with his album Animosity, Kelly admits his biggest challenge has been writing material which betters his previous oevre. “I had horrendous writer’s block and have only just stopped banging my head off the wall. No matter how many times you experience writer’s block, you always think that, this time, you are absolutely finished and will never write another song,” Kelly tells us. At one stage, there were no live shows for several months and only one song – ‘Island’ – written in the second half of 2009. Kelly even scrapped all his new work in frustration. “However, I then discovered most of what I’d written was great and it was me that wasn’t up to standard,” he says. Thankfully, Beerjacket is now back doing what he does best. “Things are now going really well and I’m excited by what I’m producing. I’m starting to piece together the jigsaw of my next record,” he adds. As a solo artist, Kelly creates introspective songs full of emotion and wonder – this is the essence of his singular vision. But he is still asked about plans to add new members to Beerjacket. Kelly’s perfectionism may well be the root of his periods of creative insecurity, but it’s reassuring to know that compromise is not on the agenda. When his new work begins to emerge, the benefits of his single-minded approach should be clear for all to hear. Beerjacket’s next live show – his first in seven months – takes place at Oran Mor, Glasgow on 18 June. Welcome back to the boxing previews on Newsmule. Here lies a very personal view of how the light-welterweight clash between Amir Khan vs Paulie Malignaggi could play out. Basically, as much as I’ve been a critic of Khan in the past, he simply has to win this fight. Malignaggi is one of the strangest fighters in the game at the moment – the man couldn’t knock-out an 80 year old woman with Rohypnol. His knock-out record is abysmal – 5 KO wins in 30 fights. Now, that is not to say that knock-outs are everything – Floyd Mayweather has proved otherwise – but the Brooklyn fighter’s record is embarrassing. Under Freddie Roach, Khan has developed his talent and the Bredis Prescott defeat seems a million miles away for a man with his eyes on the sport’s biggest prizes. Under the pressure of a home crowd, Malignaggi has talked a good fight but he looked very poor against Ricky Hatton two years ago and his lack of power will surely be exposed against the quick and accurate Bolton fighter. Despite his one defeat, Khan has produced some very good fights since and has established himself on the world level – something Malignaggi has never and will never do. I suspect Amir’s speed will be too much for the feather-hitting Italian-American with the big gob and – after taking time to adjust his style – the fight will probably end in the 7th with a Khan KO victory. More interestingly, Londoner Kevin Mitchell – a potential Khan opponent – takes on teak-tough Aussie Michael Katsidis for the WBO Interim lightweight title, which is likely to turn into a match for the full title. Mitchell has a perfect record of 31 victories from 31 fights, with 23 wins by KO, while his opponent has lost twice in 28 fights. However, Mitchell has yet to be tested against the best in the division, despite his impressive victory over Khan’s conqueror Prescott in December. All the signs point to Mitchell being on the cusp of something great, but his opponent should not be underestimated. Katsidis’ only defeats have come against some of the division’s finest and he has a reputation as a fighter who will battle to the absolute end. He lost a brutal contest to Joel Casamayor and a controversial bout to Juan Diaz, and has been in the ring with the very best. Looking at Mitchell’s chances, he is undoubtedly in for a tough night against a fighter who relishes a war. However, Katsidis has often struggled with bruising and cuts and the two defeats he has suffered suggest he is not at his best against a counter-puncher. If Mitchell can maintain a healthy distance from his opponent and use his undoubted boxing skills, it could be a prosperous night for the man from Dagenham. I suggest a Mitchell victory on the judges scorecards, but don’t be surprised if this one gets stopped on cuts. Of the two British prospects in action this weekend, a Mitchell victory will mean a lot more than a Khan win. It certainly won’t attract the same kind of headlines, but it will be a far more valuable and widely respected win against a really tough opponent. In our profile article last June, we predicted Dan Willson’s Withered Hand was set for big things. Sure enough, the last ten months have completely redefined success for the Edinburgh-based father of two. Good News, his debut album, was released on SL Records to considerable acclaim, leading to a whirlwind of activity; even Willson describes himself as “almost too busy”. He has only just returned from an exhausting 15-stop European tour supporting Icelandic marvel Benni Hemm Hemm, and while his travels took Withered Hand to new audiences across the continent, it also resulted in some oddly humbling moments. “Apart from being generally very well received, I was totally amazed to meet a handful of people at the shows who already had my records and knew the words to my songs,” Willson says. Ever loyal to his Fence Collective friends, he describes Homegame as the “highlight of every year, surely”. 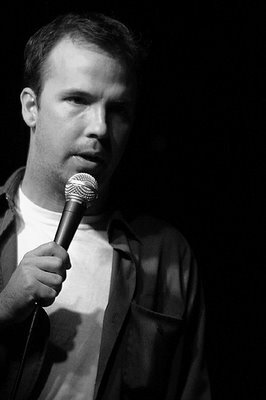 Depending on the availability of his musical friends, Withered Hand can be a solo act or a large band ensemble. The turn of the year saw a sold-out UK solo tour, supplemented by an invitation from King Creosote to play at one of his London shows. Looking forward, there are even more enticing events in store, as Willson plays his “biggest solo show to date” as the special guest of Canada’s mesmerising Woodpigeon at London’s Union Chapel this Thursday (6 May). Summer dates include Tigerfest in Dunfermline (21 May) and the Wickerman festival (23 & 24 July), as well as an appearance at the World Ceilidh in Knockengorrach at the end of this month. First things first though… Willson has an entire European tour’s worth of sleep to catch up on. Emergency appeals and the media circus that surrounds them always bring forth an interesting period for media commentators and those who ply their trade amongst the ruins of other people’s lives. For me, the stories that go unreported by the entity we collectively refer to as ‘the mass media’ always make for a more interesting story than the endless re-runs of the heroic and tragic stories upon which our collective societal watchdogs choose to report. Never is the inherent bias of the western consensus more apparent than during a humanitarian disaster. The stories omitted are a story in their own right. Take, as a classic example of the point in question, the issue of aid given during disaster situations. Where, in our collective conscience, is the role played by countries not aligned to the Washington Consensus in the disaster response? The recent Haiti catastrophe and the previous case of hurricane Katrina highlight a fundamental problem with the western media. When a country such as Cuba defies their position as an ‘enemy of the state’ and provides fantastic humanitarian relief, our collective media lack a schema in which to process their response. A recent Al-Jazeera report indicated the extent to which Cuba’s response to the earthquake in Haiti has been criminally ignored. Cuba has provided the highest number of medical staff on the ground of any nation, with Al-Jazeera putting the figure at 930 professionals. Cuba has also reportedly sent 400,000 tetanus vaccines to Haiti to aid the wounded. Why then does this figure not register in the western media? The aid response has come from the US and the UK in the main, if we were to believe reports. These reports should be treated with deep scepticism. The US wish to control the entire response and the media scrum has seen French aid planes carrying vital supplies turned away from Haiti, according to Medecins Sans Frontiers. Hurricane Katrina is another case in point. Cuba were among the first to offer aid and were prepared to send over 1500 medical professionals and 26 tonnes of medicine. This offer, according to CNN quoting Fidel Castro, wasn’t even rejected – there was simply no response, as the Cuban medical team waited on approval to dispatch. Put simply, there was no political mileage in allowing a long-term US foe to gain the PR boost associated with such a gesture. The press complied, as it often does, by refusing to scrutinise this blank refusal, or even acknowledge its existence. The reasons for these media omissions lie at the heart of the media ownership/bias debates and run deep. At a time when the US healthcare debate centres on the fact that many people in ‘the land of the free’ find it acceptable to deny 40 million impoverished citizens any form of healthcare for their ‘sin’ of not being able to afford care in the land of plenty, the offer of high quality medical professionals from one of the few nations not bowled over by the flawed model of western capitalism is not one with sufficient appeal. Cuba stands against the US model which dictates how the world should function. This economic outlook has run generally unopposed since the fall of the Berlin Wall in 1989. The greatest problem with the end of communism was that it left only one system of government. 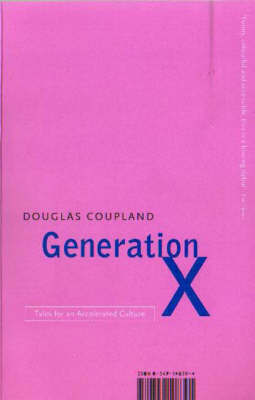 Right or wrong, every idea needs to be challenged constantly to retain its validity. Cuba has always represented a challenge to the dominant mode of western free market capitalism and ‘the young upstart’ governments of Venezuela under Chavez and Bolivia under Morales have pushed South America into the unenviable position of the opposition to the consensus. In times where US health reforms are resisted and 40 million people are denied healthcare in order to stop the country following what many see as the communist model of Britain’s NHS, hearts and minds are not easily conquered. The crux of the issue is that the media in the UK and the US have nothing to gain by accurately reporting Cuba’s response to Hurricane Katrina and the Haitian earthquake. As a news provider in the west, the worst crimes to be exposed to are charges of sympathy towards enemy states. For those who wish to separate journalism from PR, a harsh lesson awaits. Each news source will report in line with the needs of their owners. These needs may be political or economic, but they don’t differ wildly from the needs of any business owner. Journalists don’t work to report the truth; they work for the person who pays them their monthly wage. The news agenda has to fit with the overall aims and business interests of the parent company. When looking at our media, we should never lose sight of this fact. Journalism is PR and PR is journalism. You work for the person who pays you and invariably, when media companies are involved, those interests are complicated and many. Reporting on the success of the Cuban healthcare system has been resisted as it is a sore for the US, whose sanctions have failed to stifle a system which attracts student doctors from all over the world and exposes the shame of the United States. The harsh reality is if any journalist or publication were to extol the virtues of the Cuban health system too vigorously, or mention the Cuban response to emergency appeal which the effort surely deserves, they would find themselves in the worst place imaginable to any news source – out of the loop. Invitations to press conferences and access to top politicians are hard to come by and easy to lose. Report the wrong thing too often and you are out. Simple. Gone. And no news provider can operate without access to government sources. The truth is out there, but nobody in the west dares to say it out loud.